The Garnet Ceiling Lamp is a unique piece of work that combines lighting with a classic design. 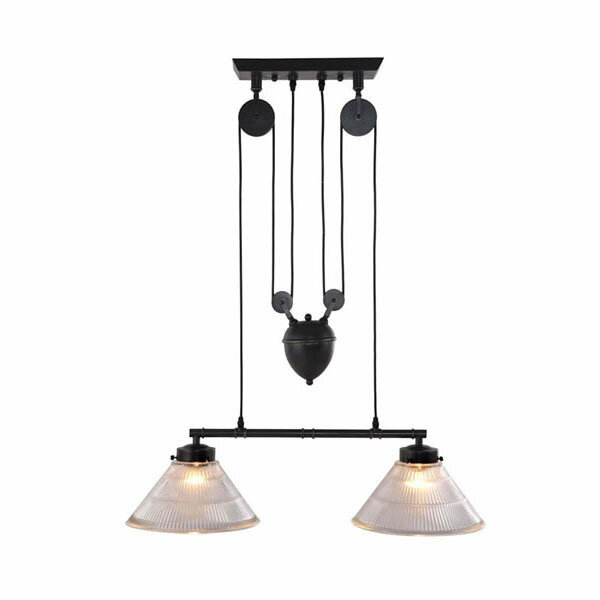 This ceiling lamp features a pulley system and an antique patina finish, which is sure to turn heads. 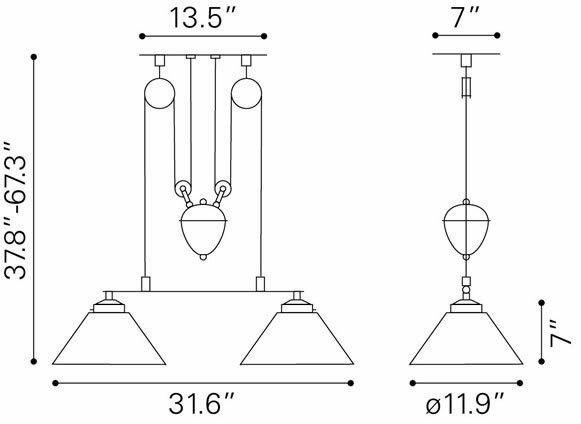 The Garnet Ceiling Lamp is a must have and works great in any business or home environment.